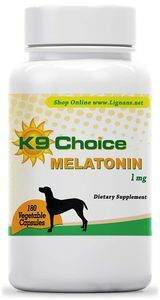 K9 Choice Melatonin 1 mg For Dogs. 180 capsules, 180 servings. 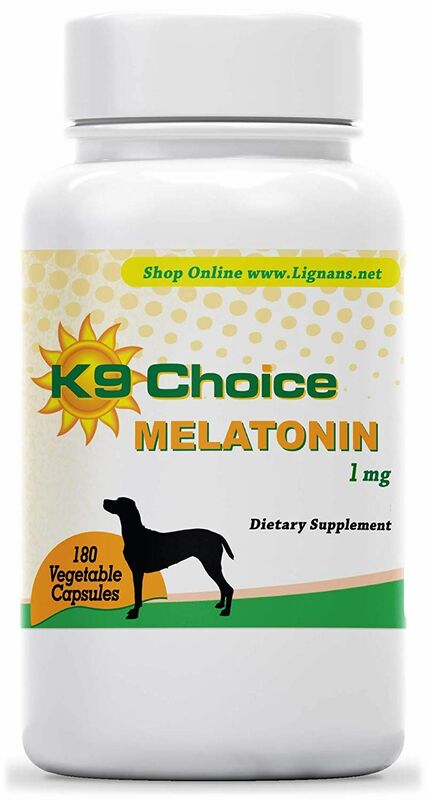 Our K9 choice brand Melatonin 1 mg for dogs contains 180 capsules of 1 mg melatonin. Melatonin is naturally produced by the body in the pineal system and supplementing with melatonin can be highly beneficial. Melatonin is a well known antioxidant and research has indicated that Melatonin supports the endocrine system in dogs when used in conjunction with lignans.